Methods and techniques for the identification, monitoring and management of natural hazards in high mountain areas are enumerated and described. A case study from the western Himalayan Kullu District in Himachal Pradesh, India is used to illustrate some of the methods. Research on the general topic has been conducted over three decades and that in the Kullu District has been carried out since 1994. Early methods of hazards identification in high mountain areas involved intensive and lengthy fieldwork and mapping with primary reliance on interpretation of landforms, sediments and vegetation thought to be indicative of slope failures, rock falls, debris flows, floods and accelerated soil surface erosion. Augmented by the use of airphotos and ad hoc observations of specific events over time, these methods resulted in the gradual accumulation of information on hazardous sites and the beginnings of a chronology of occurrences in an area. The use of historical methods applied to written and photographic material, often held in archives and libraries, further improved the resolution of hazards information. In the past two decades, both the need for, and the ability to, accurately identify potential hazards have increased. The need for accurate information and monitoring comes about as a result of rapid growth in population, settlements, transportation infrastructure and intensified land uses and, therefore, risk and vulnerability in mountain areas. Ability has improved as the traditional methods of gathering and manipulating data have been supplemented by the use of remote sensing, automated terrain modeling, global positioning systems and geographical information systems. 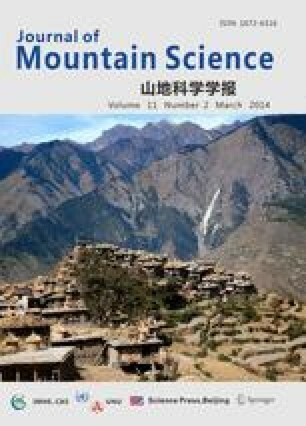 This paper focuses on the development and application of the latter methods and techniques to characterize and monitor hazards in high mountain areas.